ACEEE has focused much attention on motors and motor systems over the past 30 years. We have worked with National Electrical Manufacturers Association (NEMA) to enhance and codify strong motor efficiency standards, and with energy efficiency programs to promote advanced motor systems. Electric motors convert electric power to useful mechanical energy and consume more electricity than any other end use in the United States. 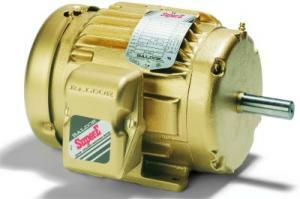 Their ubiquity and often-constant use makes electric motor systems an important potential source of energy savings. Because more than half of all electricity flows through them, even modest improvements in their design and operation can yield tremendous dividends. Up to a fourth of US electricity consumption can be saved by optimizing the performance of electric motors and their associated wiring, power-conditioning equipment, controls, and transmission components. These networks of devices are also known as motor systems. The Extended Motor Product Label Initiative (EMPLI) is a recent ACEEE-led effort to develop voluntary performance labels for motor-drive products such as pumps, fans, blowers, and air compressors. This initiative involves NEMA, Air Movement and Control Association International (AMCA), Compressed Air & Gas Institute (CAGI), Hydraulic Institute (HI), and Northwest Energy Efficiency Alliance (NEEA). In 2017, HI launched its Pump Energy Rating program that includes an energy efficiency performance metric, a comparative product label, a test protocol for hydraulic pumps, a product performance certification, a testing laboratory certification, and a product performance database. We expect similar testing and labeling programs for fans and air compressors in the future. Members of the initiative are also working with the administrators of energy efficiency programs to incorporate use of performance labels like the HI Energy Rating into new programs targeting commercial, institutional, and industrial facilities.